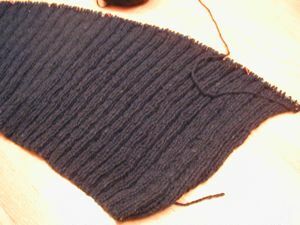 That’s the body, which is one piece to the armholes. I’m aimin’ to get that done tonight – I’ve got 4″ to go (total= 15 inches). 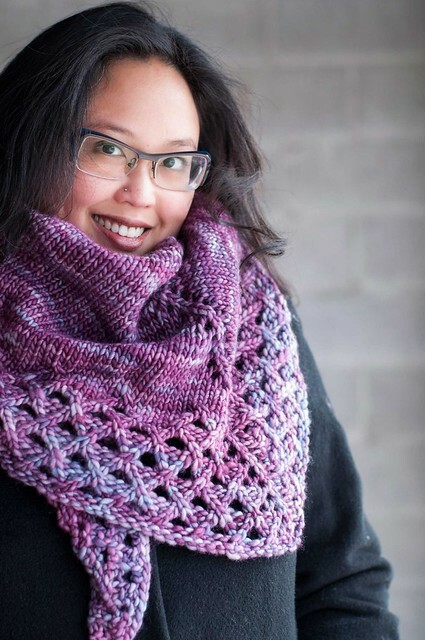 It goes superfast, though – yay for 10.5 US needles! 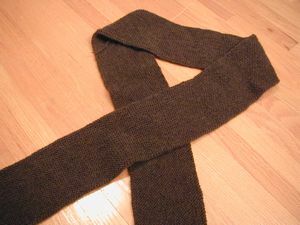 One FO, the brown sideways scarf. 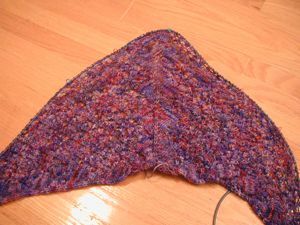 I think it turned out quite well, even though I could’ve managed another row or two before binding off. Really needs to be blocked. I think I’m on track!